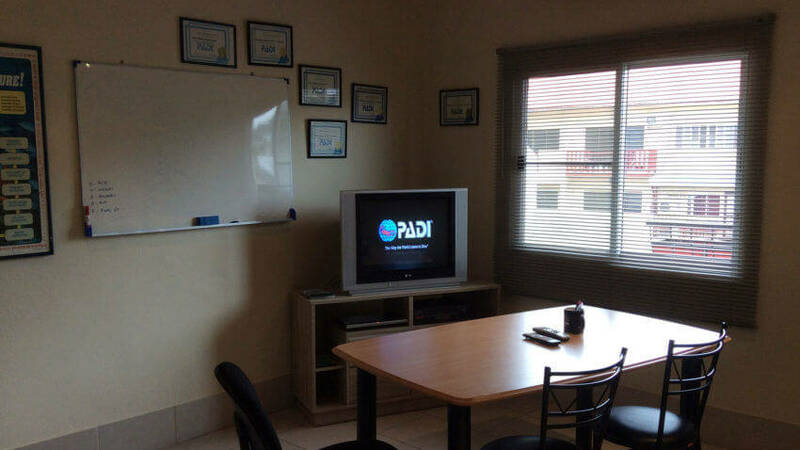 The PADI Scuba Diver Course is a short certification course taking just 2 days comprising of a little more than half of the Open Water Diver Course. if you want a full scuba certification, the Open Water course is what you want. The Scuba Diver course gives you a certification card, but it’s like a half certification, certifying you to dive up to 12 meters depth, but you must always dive with a PADI Instructor or Divemaster. 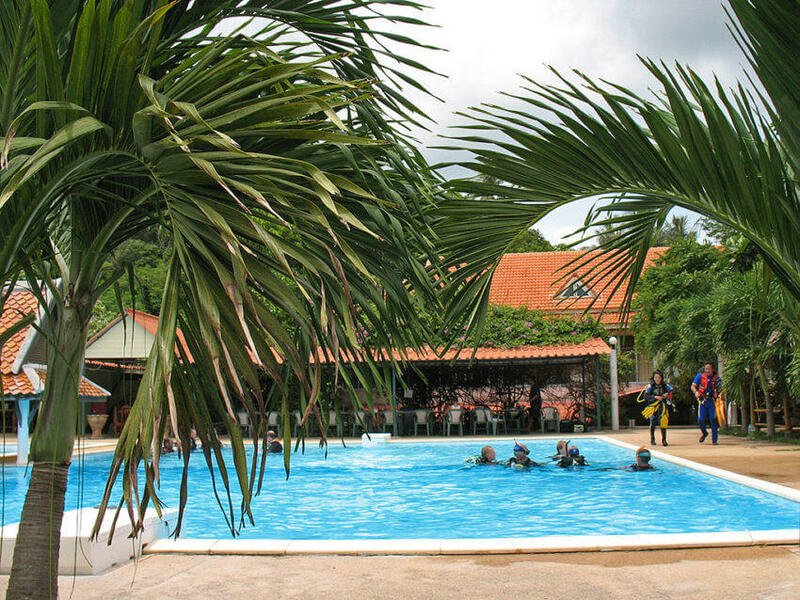 The course is ideal if you have limited time and want to do more than just a Try Dive. This course takes 2 days, including 1 trip by day trip boat. 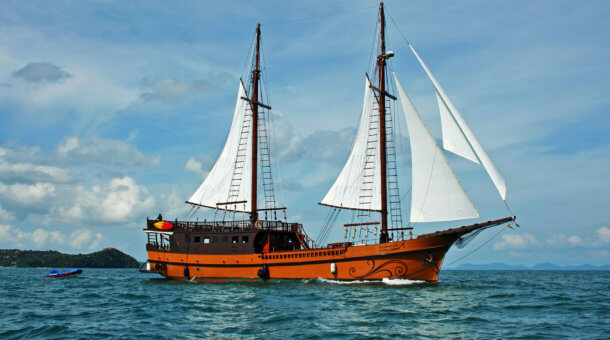 You can choose from an easy 2 dive trip to Racha Yai Island, or a 3 dive trip to Racha Noi Island. You get the same certification either way. the actual course requires only 2 dives, but a 3 dive trip gives you that extra dive for experience. 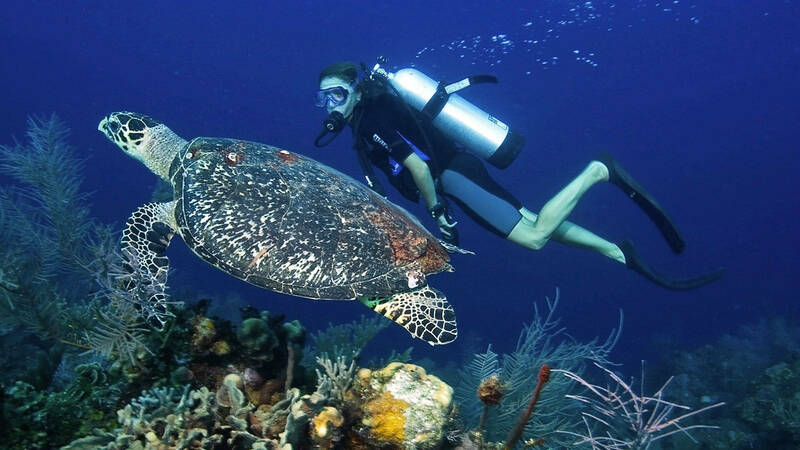 Please note that we do not offer any beginners dive courses in the Similan Islands National Park. Course prices include a theory class in an aircon classroom, pool training in a custom dive pool, 2 or 3 open water dives as stated, equipment rental, certification fees, PADI course manual, log book, breakfast and lunch on the boat trip, free Sunrise Divers coffee mug and insurance. Only 30% deposit needed to sign up in advance. No credit card charges! Is diving easy? What is the course like? Learning to dive is not difficult. You should be able to swim and be comfortable in the water, and there is a medical questionnaire that you need to complete when starting a course to ensure you are fit to dive. You start with some theory and some pool training and then make 2 or 3 easy shallow dives. Here’s how the Scuba Diver course looks. The course uses the Open Water manual, but you complete only 3 of the 5 sections. You’ll be about 3 hours in the classroom on day 1 watching videos and doing quizzes with your instructor. After the classroom we move to the pool where you can also grab some lunch. Like the theory, you do part of the pool training from the Open Water course including all the basic skills you need to know to dive safely in shallow water. Your instructor will be right there with you all the time. The pool session will take from 2 – 4 hours depending on how easily you take to water! We do our Pool Training Here! 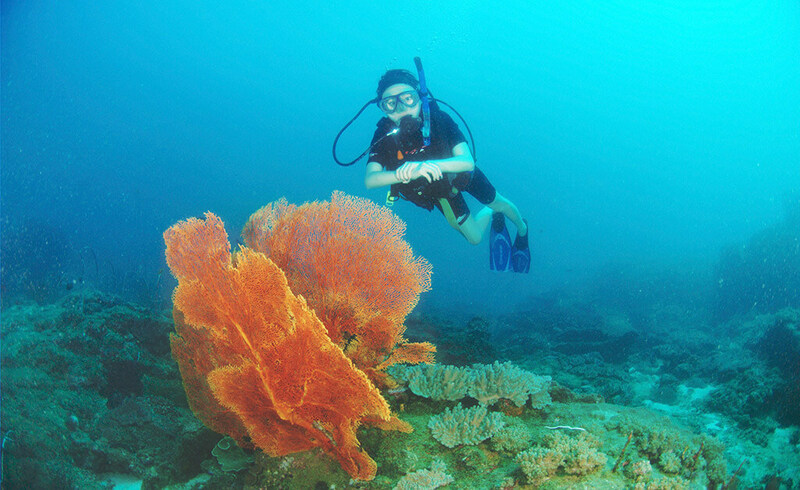 You can choose from the 2 or 3 dive trips, which pick up from hotels starting about 7:30am. Racha Yai has the easiest shallow diving and is ideal for new divers, but you can also choose a 3 dive trip including Racha Yai and it’s neighbour Racha Noi which has some deeper water around. In either case, you stick to the shallows – maximum depth is 12 meters. 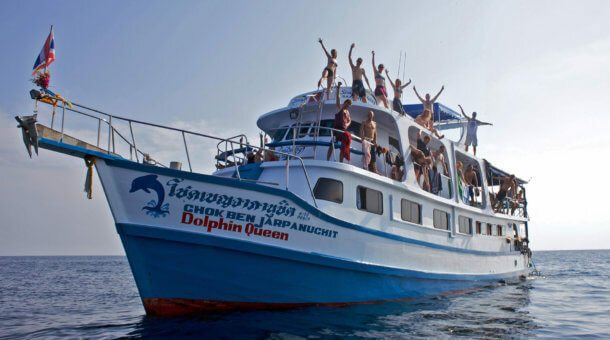 Day 2 : Start 7:45am, pick up from hotel, diving 3 dives at Koh Racha Noi and Racha Yai, return about 6pm. On day 1 please meet at our dive center 9am. We suggest that you stay close to Sunrise Divers (we are at Karon Beach) when making your course. On day 2 pick up is from your hotel, pick up time 7:45am based on hotels in Karon or Kata Beach area. Pick up also possible from Patong. Other areas of Phuket may have an extra pick up fee and a long transfer (Phuket is a big place!). I’m not a great swimmer. Can I dive? You don’t have to be a top class swimmer to learn scuba diving. Much of the time you are wearing scuba diving equipment such as fins (to help you swim) and a BCD (a jacket which you can fill with air), so you don’t do any normal swimming. BUT … there is a swimming test to make sure you are happy and safe in the water. Students need to swim 200 meters or 300 meters wearing mask, snorkel and fins. Plus you complete a 10 minute float / tread water test. In general you should be comfortable in the water and you should be fit and healthy with no medical issues. Can a Non Swimmer Dive?